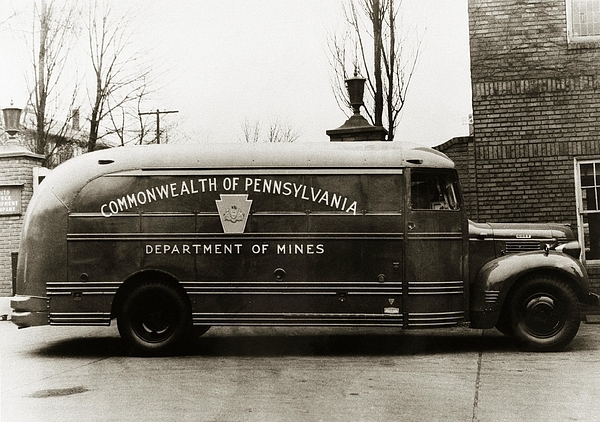 There are no comments for Commonwealth Of Pennsylvania Coal Mine Rescue Truck 1947. Click here to post the first comment. 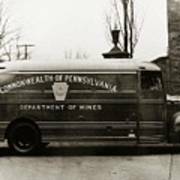 Commonwealth Of Pennsylvania,Coal Mine Rescue Truck, 1947, This truck was often seen around the Huber Coal Breaker & Mines, Ashley PA. The Anthracite Images Restoration Project...For over 40 years Arthur Miller Studios has been a leading source for vintage historical images of the Anthracite coal regions of Pennsylvania.We offer superior quality archival photos at a reasonable price. 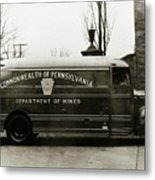 Our photo collection is always growing so check back often. 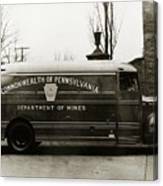 If you would like to use one of our images for editorial purposes, or would like to license an image for product use, please contact us directly at ( AM @ EPIX.NET ) or ( 570-333-0533) for our special editorial publication licensing rates.